Every student – every reader – in St. Vrain Valley Schools deserves access to high-interest, complex texts whenever and wherever they choose. This means all kinds of books -print and digital. 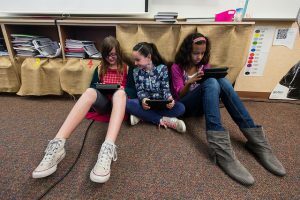 Over the years, St. Vrain Valley School District voters approved several mill levy overrides and bonds that, among other improvements, greatly strengthen our district’s capacity to equip students with dynamic technology tools. As a result, the SVVS Learning Technology Plan was developed. 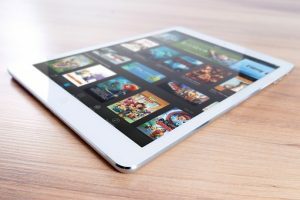 The LTP focused on transforming teaching and learning through digital connectivity and content. This advancement in learning technology has also started to revolutionize our libraries. 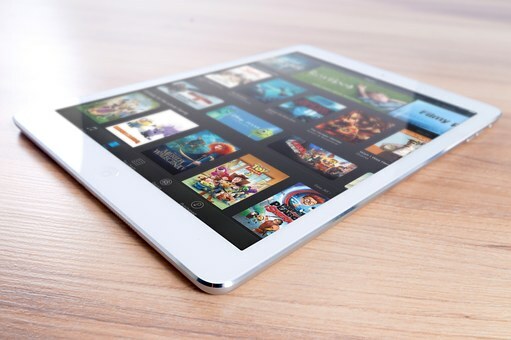 The District Digital Library offers eBooks and audiobooks and streaming media, including over 72,000 titles for elementary, middle and high school students and District staff. Many titles have both an eBook and AudioBook version and several titles have multiple copies. These titles complement each school’s library of print books and serve as a component of SVVS’s continued promise to prepare all students for the world they will inherit – a world where reading literacy is a hybrid experience across multiple platforms. For many, including myself, how and where our students are learning to read and reading for pleasure is a landscape much different than what we knew even a decade ago. As citizens, students will need to know how to access, recall, and comprehend texts across all platforms. 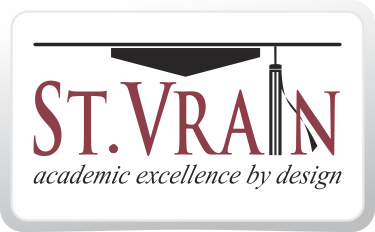 St. Vrain is dedicated to making sure they have the opportunities to practice those skills in schools and classrooms where knowledgeable, professional educators can help them navigate this new terrain. In its work to make sure students have quality texts available for this learning, the District Digital Library committee has dedicated many hours to ensure that the best titles, topics, and authors are available in this digital library and that we are reaching all readers and interests​. Professional resources for teaching staff have also been purchased. Students and staff can enjoy this library anytime, anywhere on a computer, iPad, smartphone or eReader. In the 2016-2017 school year, 134,741 digital books were checked out – more than any other district in the U.S. This is another example of how the St. Vrain Valley Schools are providing opportunities that are expanding students’ capacity for success and giving them an advantage for the future. For further information and access please click on the following links or contact your school library staff.